at groove yoga, Our intention is for all students to arrive and feel like they are coming home. To know that they are walking into a space where they are supported, safe, and loved. Welcomed. Not judged. 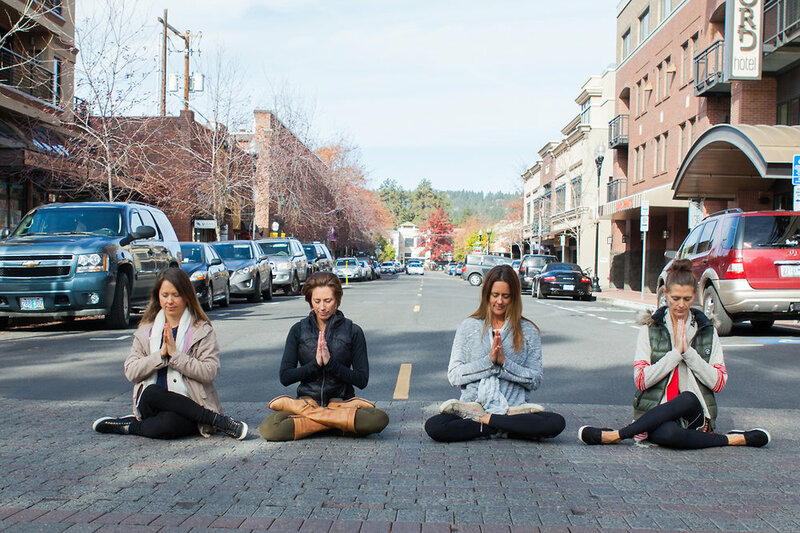 We are committed to providing a space of compassion and connection, where our students feel encouraged to challenge themselves whether it is in a sweaty, feed the fire, Groove class or our sweet and slow Rejuvenating class. Our knowledgeable instructors teach from a place of support with clear instruction and thoughtful sequencing. They encourage their students to reach the highest level of their own personal practice, study, and integrity on and off the mat. Our classes are designed to be energetic, uplifting, challenging and playful. We believe it is important to take your practice seriously but yourself lightly. Leave feeling empowered and knowing that you matter. Choose your first class wisely. We recommend our Get in the Groove class, Rejuvenating Groove, or Enlightened Groove for your first class. Dress in comfortable, breathable, stretchy clothing that allows you to move freely. Arrive 10-15 minutes early to register and fill-out our health waiver. Our waiver is available for download so you can fill it out now. Click Here to complete waiver. Bring a yoga mat, water bottle and a towel. We have water, yoga mats and yogitoes towels available for purchase for your convenience.